We’ve been bringing you her expert tips here at Yellow Dog Blog and now our training expert is the official trainer of San Francisco USPS mail carriers on how to deal with aggressive dogs. 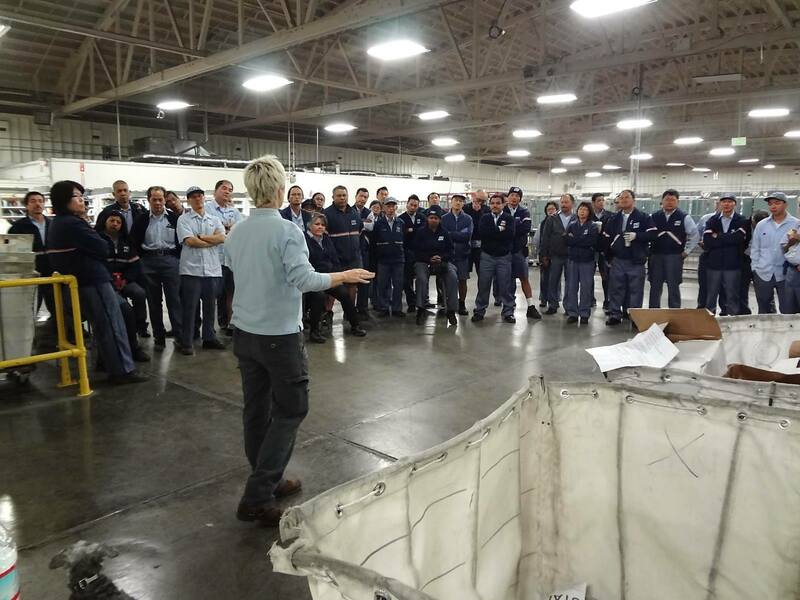 Beverly Ulbrich visited the main mail-sorting facility March 21 to lead two talks to a group of postal carriers before they headed out on their daily routes. Beverly talked about how fear is the driving force for why dogs attack. If a dog attacks, it may seem natural to run or fight back but The Pooch Coach says that’s the last thing you should do. If your dog barks when people walk by the house or shows aggression, it is important to see a professional to learn how to correct the bad behavior as soon as possible. And if there’s a dog in your neighborhood you fear may be aggressive, you can do something about it. You don’t have to worry about the dog being put down if you make a report; The Pooch Coach says that will not happen. If you are in a threatening situation, call 911. Otherwise, you can call 415-554-9422 to report a dog bite in San Francsico. You can also fill out a report for a vicious and dangerous dog hearing. You can also watch The Pooch Coach’s demonstration to USPS carriers for tips on how to deal with aggressive dogs. This entry was posted in Training and tagged aggression, dog attack, dog training, fear, postal carriers, San Francisco, The Pooch Coach, what to do if dog attacks by jaqbennett. Bookmark the permalink.